A stately four-door usually sits atop a luxury carmaker’s hierarchy. These vehicles – known in Germany as oberklasse (upper class) sedans – serve as a showcase for a brand’s latest advancements in powertrain, technology and creature comforts. Eventually, the new developments trickle down through the line-up to practical SUVs and smaller models. 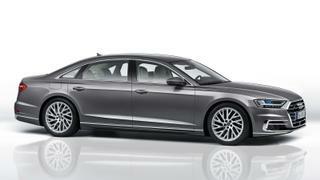 Each super sedan here is outfitted with signature features meant to thwart and combat its competitors. They’re all winners. Lexus’s first American hit, the 1980s LS sedan, took on the Germans with effortless reliability and a superlative dealer experience. 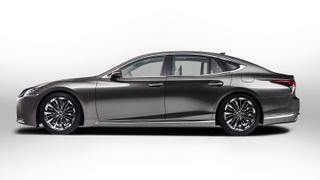 The new LS freshens the brand’s exterior design, but it’s the interior that truly stands out, with origami-esque pleated leather, striated kiriko glass and artful agathis wood veneers. Cadillac hasn’t had a competitive player in this category for decades. 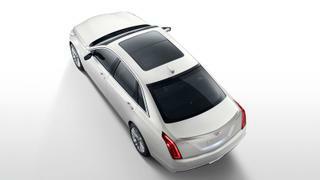 The CT6 corrects that, with distinctive knife-edge styling and a lithe and nimble chassis. Plug-in hybrid capability with a rechargeable battery pack allows it to go 31 miles on electric power and deliver nearly 30mpg on the highway. 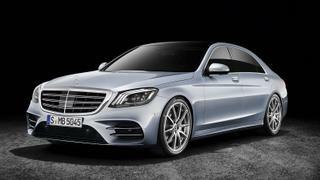 Mercedes’ S-Class has long been the category’s standard-bearer. And while this latest S revives a designation from the 1980s with its 560 nomenclature, its tech is decidedly modern. The new health and wellness function combines music, adjustable ambient lighting, massaging seats and the heating/cooling system to sway a driver’s mood. It can even teach you a few (seated) exercises. Audi’s A8 has always been understated, inside and out. That simplicity is elevated here by eliminating nearly all gauges and buttons and replacing them with a quartet of screens: one in front of the driver, two in the centre console and a smartphone sized one between the back seats. Chauffeured passengers can treat their soles to a heated foot massage on an integrated footrest.